The end of 2017 is almost upon us, which means that it’s time for me to look back at all of the photos I took throughout the year and pick out just a few of my favorites. As usual, I managed to visit some awesome and beautiful places this year and came back with plenty of photos to choose from, but to be perfectly honest, I don’t feel like my photography was up to par this year. I just wasn’t very inspired to work hard at trying to make great images this year, so I didn’t. Maybe that will change next year? Maybe it won’t? I guess only time will tell. Enough about that, below are my ten favorite photos from 2017! Click on each title to see the full trip report and please feel free to leave a comment below to let me know what you think about the selections. Here’s to a great 2018! During our annual trip into the Maze District of Canyonlands National Park, Diane and I climbed up to the summit of Observation Rock where I was able to take this photo of one of the best sunsets we would see all year. Visiting Saguaro National Park has been pretty high on my list of places I’ve wanted to check out for a long time, and I was happy to get the opportunity on our Honeymoon Adventure earlier this year. I spent a nice weekend exploring new areas of the San Rafael Swell this past spring and was able to spend an evening watching the light change colors on Sid & Charley at sunset while I was there. 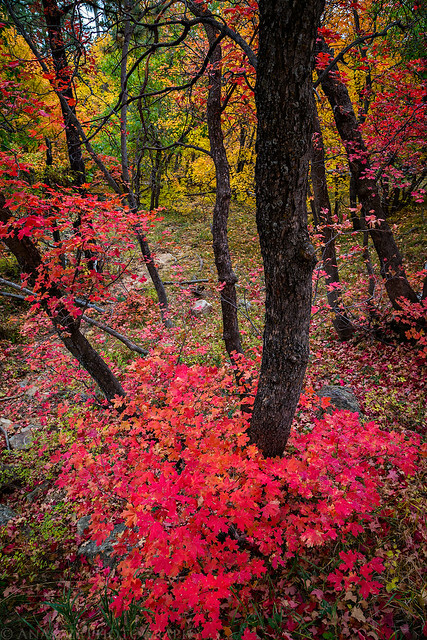 While climbing a few peaks in southern Utah’s Abajo Mountains (Blue Mountains) this past October, we were treated to a rainbow of fall colors in the area. 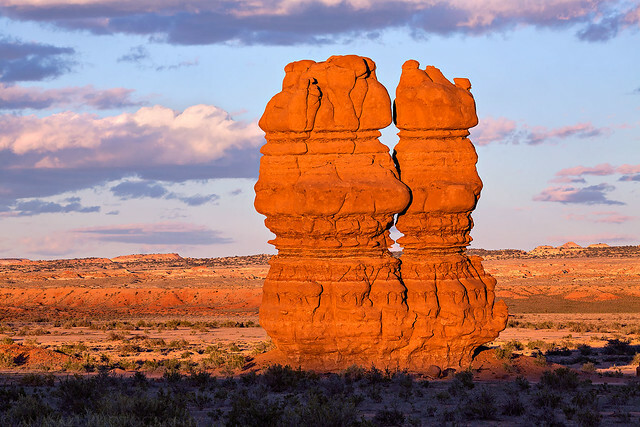 As usual, I spent a lot of weekends searching for ruins and rock art in Bears Ears National Monument. This was one of the more photographic ruins I came across in October. 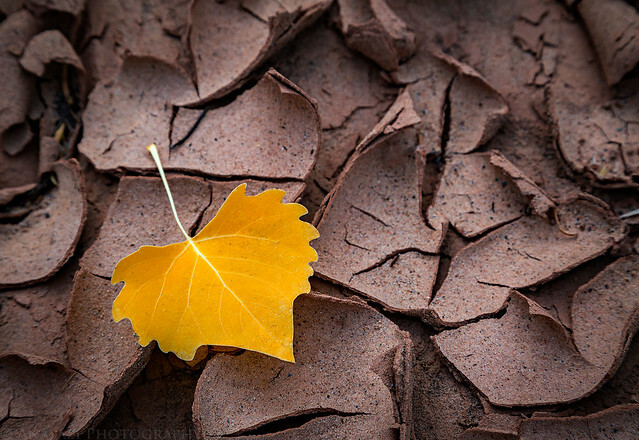 A lone yellow cottonwood leaf on cracked mud in the Colorado National Monument. I visited these amazingly well-preserved ruins in Bears Ears National Monument with a couple of good friends back in June. Battling the heat and gnats was worth the effort. 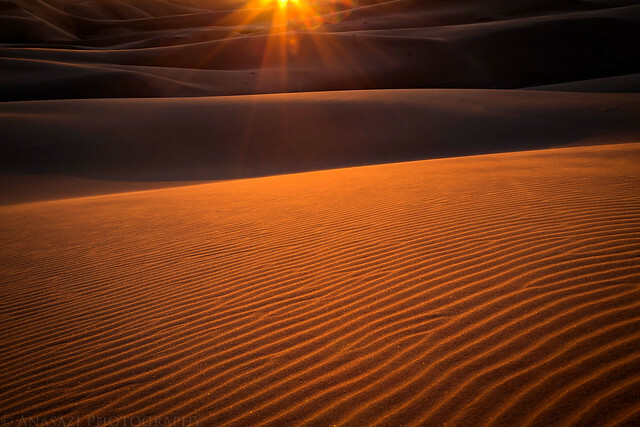 I was able to photograph this sunset in Great Sand Dunes National Park shortly before the winds really picked up and we ended up having to hike out in a fierce sandstorm. Definitely check out the full trip report to read about our adventure. This is the third complete pot (well, almost complete in this case) I have visited within the boundaries of Bears Ears National Monument, and I feel the cracks give this one the most character out of all of them. 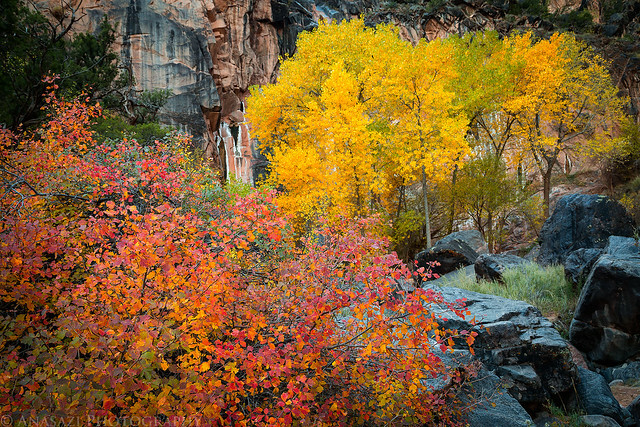 I try to spend some time photographing fall colors in the Colorado National Monument each year, and this year I was treated to this colorful display in No Thoroughfare Canyon. Below are five more photos that just didn’t quite make my top ten list for the year bringing the total to fifteen photos for 2017. 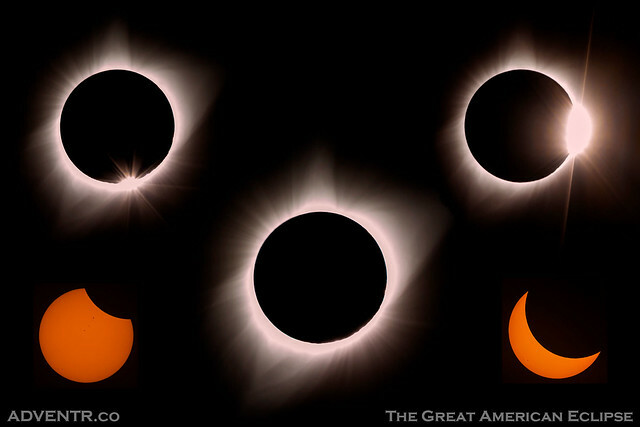 This composite photo made during The Great American Eclipse is nothing in comparison to actually seeing a total solar eclipse in person, but it will always remind me of that amazing experience! It will also remind me of my very first backpacking trip into the Wind River Range. A very large and interesting hoodoo I found while exploring the northern portion of Bears Ears National Monument. 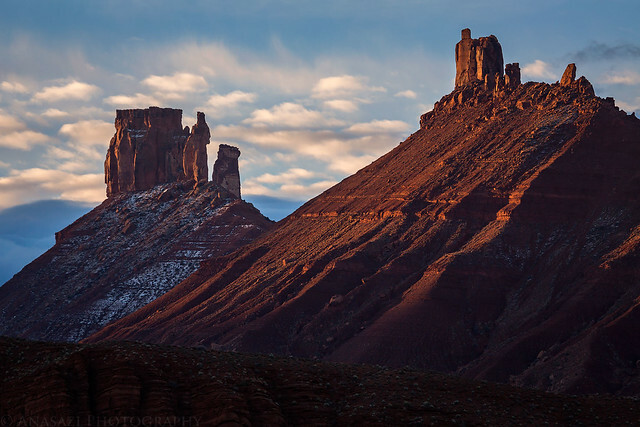 During an early morning drive to Moab last winter I had to stop in Castle Valley during sunrise for this photo of Sister Superior with the Priest and Nuns and Castle Rock in the background. Visiting the beautiful Barrier Canyon Style pictographs in Virgin Spring Canyon was a highlight of the year for me, and I’m glad I stuck around for better light so I was able to take some good photos. A stormy winter evening with Hovenweep Castle reflected in a pothole in Hovenweep National Monument. Really awesome set of images, Randy. I always appreciate your sense of exploration, and you get some wonderful finds as a result of it. That pot is gorgeous. Best wishes for a happy and prosperous 2018! Thank you Greg! I hope you have a great 2018 as well! Hi Randy, I am a rock art junkie, so I love the Virgin Spring pictograph panel. But everything you presented is great! Here’s to a great 2018. Thanks T.M.! Since you like rock art, make sure to check out My Favorite Rock Art Photos of 2017. A terrific compilation of images. 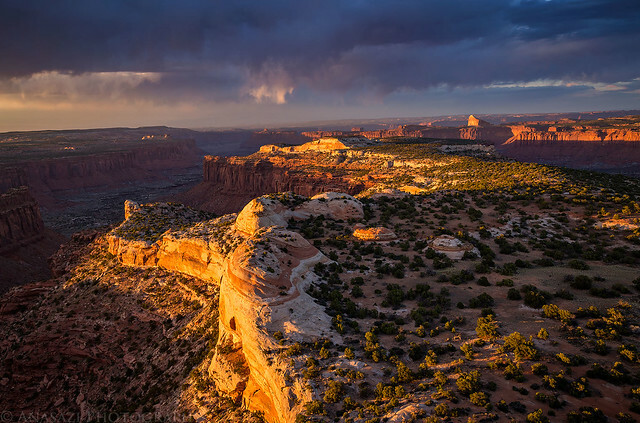 I’m glad you documented Bears Ears in such beautiful photographs. Thanks for sharing! Thanks Alexander! The Bears Ears has always been one of my favorite areas to explore, even before it was designated as such. Such a beautiful set of photographs Randy. Best wishes for 2018! Such an outstanding collection of images, looks like you had a great year Randy! 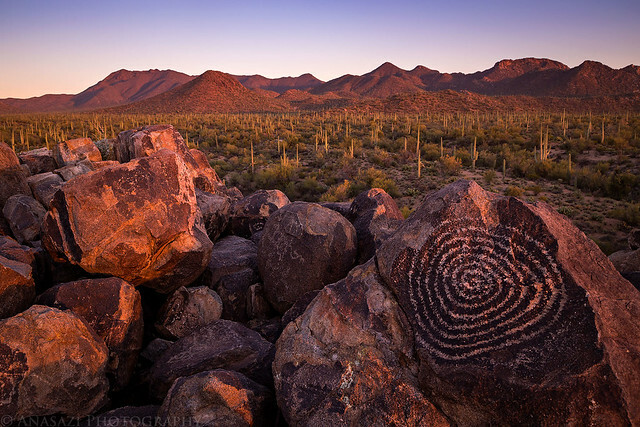 I love all your images of rock art and ruins. Keep up the good work in 2018!